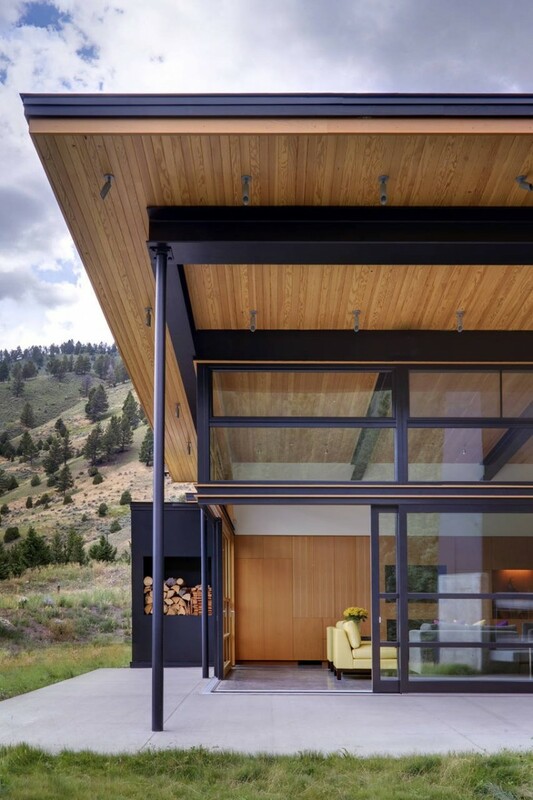 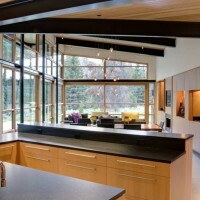 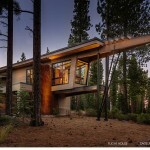 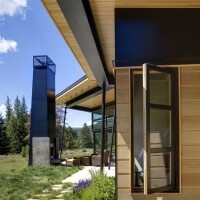 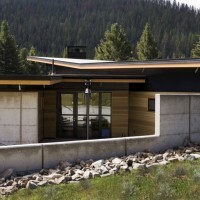 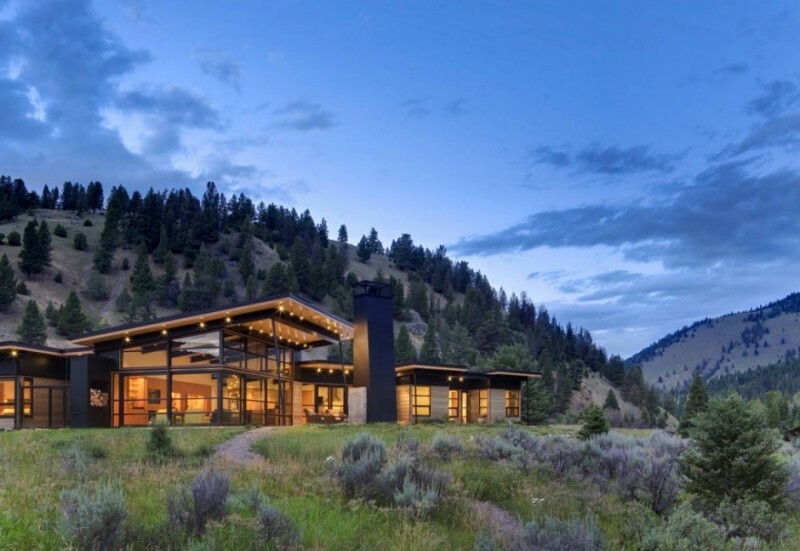 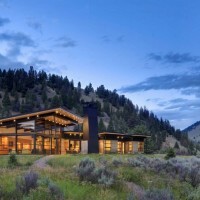 Balance Associates Architects designed the River Bank house, located in Big Sky, Montana. 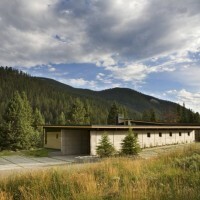 The River Bank House sits along the Gallatin River just outside Big Sky, Montana. 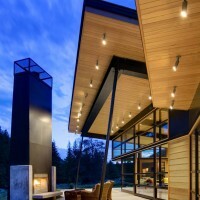 The clients love to entertain, so the house was set up to create an open and casual atmosphere with a strong connection to the outdoors. 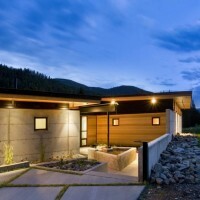 The house is oriented toward the best view of the river while maintaining good solar orientation for taking advantage of solar heat gain in the winter and keeping out the hot summer sun. 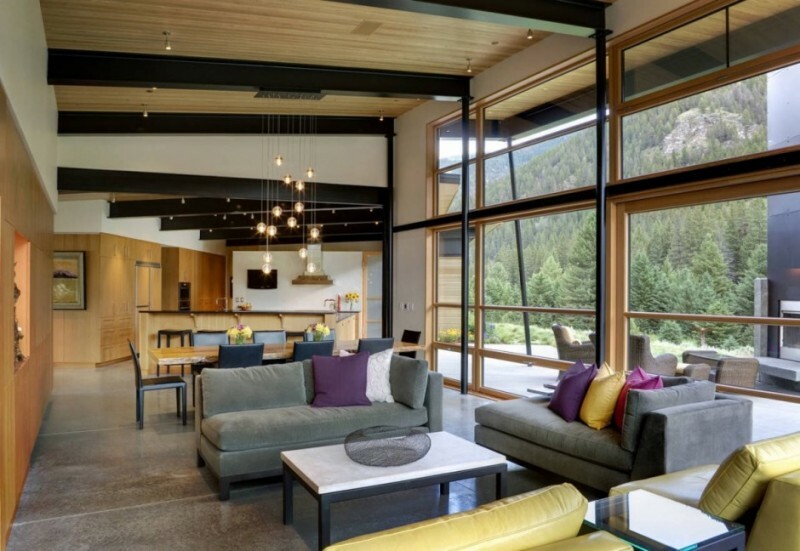 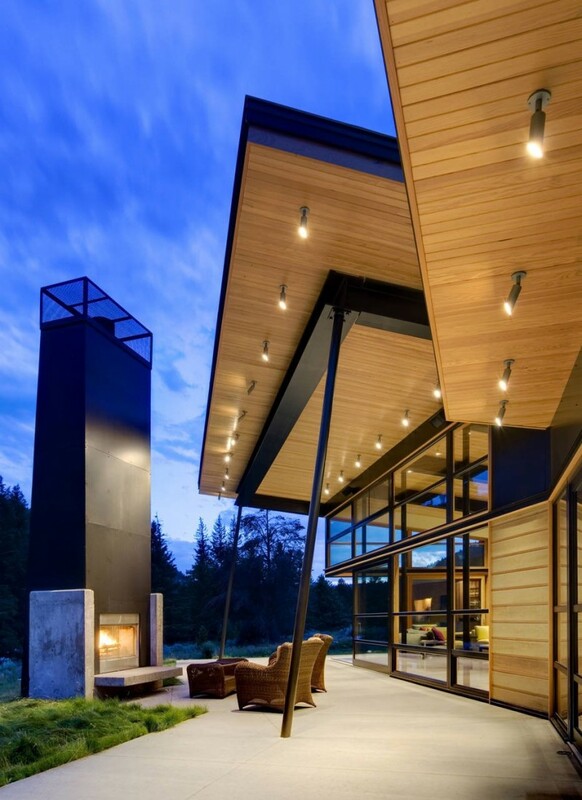 The large roof over the living room serves to shade large areas of glass in the summer, while geothermal heat pumps and high levels of insulation help keep it warm and energy efficient in the winter. 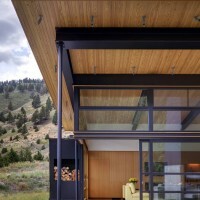 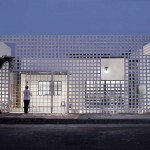 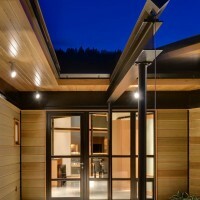 In such an extreme climate the house was specifically designed to withstand both extremes of the temperature spectrum. 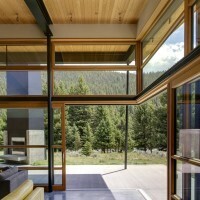 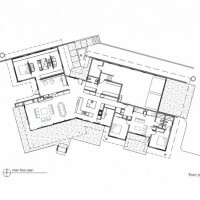 The house is separated into the main living area and the guest wing. 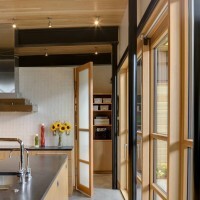 The guest area is designed so that it can be shut off from the rest of the house when unoccupied and set back to a lower temperature when not in use. 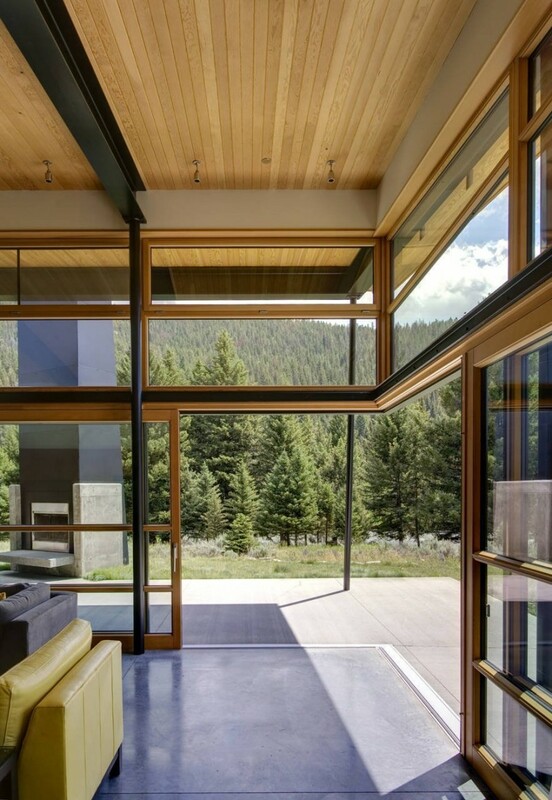 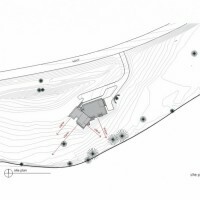 Additionally, the two wings of the house bend in order to capture the best views of the river and create a protected entry courtyard.